This case study not only highlights similarities between the precipitants of bulimia in Bulimia in Egypt 411 Western and non-Western women, but also suggests that sociocultural and crosscultural factors may play a role in the onset of the disorder. We are sharing with you one of the most timely studies in Egypt on Bulimia. Though this study focuses on only one person, it’s very relevant in understanding how Eating Disorder has always been omnipresent in our society as a hidden disease. This study took place in 1990, nearly 19 years ago and we’ve just managed to thinly speak about Eating Disorders in Muslim countries in the last few years. Eating Disorders in Muslim Culture mainly make headlines in the Holy month of Ramadan, when every other tabloid is dying with curiosity on how Ramadan is going to contribute further towards the Eating Disorders and how much pressure sufferers are to observe this month. It’s truly sad to see such narrow-limited focus on this dangerous illness only once a year. 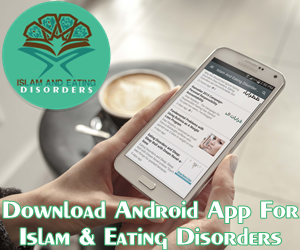 The study and many other hidden studies show Eating Disorders have always existed in Muslim society and it’s time we do more to combat this illness. A Case Study Kathryn A. Ford (Accepted 19 November 1990) The diagnosis and treatment of bulimia in underdeveloped countries is not well documented. The following is a case study of a young Egyptian woman who met the diagnosis for bulimia according to DSM-III-R (Diagnostic and statistical manual of mental disorders, American Psychiatric Association, 1987) and was treated in her native country of Egypt. The study examines individual and familial issues relevant to the disorder as well as hypotheses about the effects of conflicts engendered by crosscultural and sociocultural factors on the etiology of the disorder. The prevalence and edology of eadng disorders among Western white women have been widely researched over the past decade (Halmi, Falk, & Schwartz, 1981; Katzman, Wolchik, & Braver, 1984). While there has not been a great deal of research with nonWestern women, existing research suggests a lower incidence of eadng disorders in non-Western countries (Buhrich, 1981; Nasser, 1986). Among the studies of anorexia and bulimia with non-Western women, the majority involve women who immigrated to or were born in a Western country and developed an eadng disorder in that country (Buchan & Gregory, 1984; Bulik, 1987; Lacey and Dolan, 1988; Mumford & Whitehouse, 1988). In comparison, few studies exist in which the onset of the eadng disorder occurs in a non-Western country (Nwaefuna, 1981; Buhrich, 1981). The following case report involves the diagnosis and treatment of a non-Western women who developed bulimia in her nadve country of Egypt after returning from 12 years in Canada. The case is important because it adds support to results from immigrant studies (Furnham & Alibhai, 1983; Nasser, 1986; Lacey & Dolan, 1988) which suggest Western atddides can contribute to a concern over body weight and have a possible pathogenic effect. Further, it tries to understand the significance of bulimic behavior for an Arab woman. Miss N was an attractive and intelligent 21-year-old Egyptian Moslem woman who wore the traditional hegab (long dress and head covering) but did not cover her face or hands. At referral, she weighed 66 kilos and was 170 cm tall. The year before she weighed 73 kilos for a couple of months. Six months prior to the referral, she weighed 62 kilos, her lowest weight since reaching her adult height. Miss N had been bulimic (DSM-III-R; American Psychiatric Association, 1987) for 4 months at the time of referral. At the initial visit, she was vomiting three to four times a day and taking laxatives once a day. She complained her throat was sore from the spoon handle used to induce vomiting and she had some heart palpitations. She still maintained a normal menstrual cycle and did not experience any rectal bleeding. Her usual binging pattern was to eat sweets, macaroni, other starchy foods, and rice. Binging was done in secret. She was very depressed and agitated and felt unable to control her eating behavior. Miss N reported her bulimic behavior began during the autumn of her second year at university, about 18 months after arriving in Cairo. It was precipitated by the termination of a 3-month relationship with an Egyptian man. This relationship involved some physical contact, primarily kissing. It caused Miss N to feel guilty and dirty, and led her to avoid people by staying inside her home. According to Miss N, God had forbidden anything to be done to the body before marriage. “When I took up the veil, it was a symbol of my religious ties. A woman veils herself so that there will no temptation.” During the winter semester break. Miss N went to Saudi Arabia and made a pilgrimage to Mecca. This was part of a purification process tied to her belief that if she prayed hard enough God would forgive her. The relationship ended soon after her return to Egypt when Miss N learned her male friend was seeing another woman. Also at this time, another male friend told her she was heavy and challenged her to lose 10 kilos. This led her to fast for 2 days after which she got so hungry she binged. The cycle of binging and vomiting began after this. Miss N continued to binge and purge throughout the spring semester of the school year. During the summer, she returned home to another Middle Eastern country where her binging escalated. She described her life at home as very confining due to the cultural and religious restrictions placed on women. Twice more during the next academic year, she returned home. On her second visit she made another trip to Mecca to pray for her recovery. She also had an arranged meeting with a man her father felt might be a suitable husband. The man visited her home often; at times she vomited before he arrived. Miss N felt some pressure to accept Mr. C’s proposal but did not do so. Toward the end of the school year, she observed Ramadan for the second time since becoming bulimic. However, unlike the previous year’s Ramadan fast when she fasted during the daylight hours and binged and vomited after sundown. Miss N binged and vomited only a few times during the month-long fast. The association with Miss N ended at the completion of the school year and no follow up information on her progress was available. Miss N was a student at an English-speaking university in Cairo at the time of referral. Like many students at her university. Miss N had lived much of her life outside of Egypt. From age 5 until she graduated from high school, she lived in Canada where her father was a teacher. There she attended a local English-speaking school and interacted with Canadian friends. Initially, she had difficulty in school because of her English, but she quickly grasped the language and excelled. During her high-school years, she was active on the yearbook, played basketball, and had a part-time job. Although her parents never allowed her to date, she was permitted to go out with friends in groups. When she went to school dances, it was without her parents’ permission. In her senior year of high school, her father decided to return to the Middle East. Miss N did not want to leave Canada but her family would not permit her to stay beyond her high-school graduation. She viewed her departure from Canada as an important time in her life since it confronted her with many decisions. She had to decide about her course of study; her father wanted her to go to medical school; her mother wanted her to stay at home. She also had a decide about taking up the veil, a decision she had contemplated while in Canada. Shortly after her return to the Middle East, Miss N enrolled at a university in Cairo while her parents remained in another Middle Eastern country. For the first year of her schooling she lived with her grandparents and after that lived alone in a room her parents found for her. Miss N’s nuclear family consisted of her parents and four younger brothers. Her father was a teacher at a university in a Middle Eastern country and her mother a homemaker. There was no reported obesity in her family nor were food and weight emphasized. When talking about her family. Miss N referred to the difficulties in her parents’ marriage. Her memory included parental fights and periods when they did not talk to each other. At times, she felt caught in the middle with each parent using her as a sounding board for complaints. behavioral and insight-directed therapy were used (Lacey, 1986). The behavioral treatment included self-monitoring of binging and vomiting, stimulus control, and relearning normal eating patterns by planning meals and eating three times a day. Use of self-monitoring permitted Miss N to explore what situations triggered her binging and to gain insight into the emotions and thoughts surrounding her behavior. Miss N initially was very uneasy about self-disclosure and used discussion of the behavioral techniques to avoid introspection. Gradually, however, she developed more trust in the therapist and began to explore the confusion she felt as an Arab woman raised in a Western society. She spoke of the restrictions placed on women in her society and the internal conflicts this produced. Miss N was able to speak of her role confusion in wanting to marry but also wanting to pursue her education and career. Identification with her female therapist enabled her to explore her competitiveness and professional ambitions and to observe how a Western woman was able to combine both professional and personal goals. Therapy also enabled Miss N to gain insight into the role she played as mediator in her parents’ marriage. She felt caught in a triangular system in which loyalty toward each parent pulled her in different directions. The therapy terminated with Miss N when the therapist was transferred from Egypt. At that time. Miss N was binging and vomiting less than once a week and her depressive symptoms had lifted. She had a part-time job and was completing her university degree. Miss N’s bulimia provides a first-hand account of bulimic behavior in an Egyptian woman. While her case history shows similarities to the reports of bulimia among Western women, other cultural and religious issues are of great importance to understanding Miss N’s bulimic behavior. Consistent with Western reports. Miss N’s bulimia was associated with both individual and familial factors (Lacey, Coker, & Birtchnell, 1986). The bulimia began shortly after the termination of a heterosexual relationship and after a statement by a man about her weight. She blamed her weight for her rejection by the man and accepted the view that if she could lose weight her life would change. She also described difficulties in her parents’ marital relationship and her involvement at times as an arbiter. Finally, within 18 months of the onset of bulimia, she had changed her geographical location and was living in a different country than her family. While these factors were important precipitants, there were also crosscultural and sociocultural factors that appear to have had a major impact on Miss N. As reported. Miss N had lived in a western culture for 12 years. Previous research (Furnham & Alibhai, 1983; Nasser, 1986; Ford, Dolan, & Evans, 1990) indicates that exposure to Western culture can affect attitudes toward food and body shape. Miss N’s view that her weight and body shape were reasons for rejection by a man suggest that she integrated these Western values about thinness and body weight. She also appeared to internalize other Western views about women and society which made it difficult for her to assimilate into Egyptian culture. One of her conflicts involved the role of women in the West and the opportunities available to them. Miss N felt that Egyptian women did not have the independence they enjoyed in Canada. She viewed herself as limited in the career options she could pursue and in the style of personal freedom she desired. For example, her family would not permit her to go unaccompanied to Canada or the United States to pursue advanced schooling. She also found herself in a culture where it is still expected that young women will marry and have children. While her parents did not put pressure on her, it was an embarrassment for her family the longer she remained single. She was reminded of this every time her father arranged a meeting with a suitor. Miss N had to deal with her own emotional feelings and the rules of her religion. Upon her return from 12 years in Canada, she veiled herself. What role did the veil play for her? Was it wholly a religious act of faith as she reported or was it also a way to assimilate into Egyptian society? Or did the veil serve to deny or cover up the Westernized or less acceptable parts of herself such as emotional expressiveness? While intellectually she was able to pursue her studies and excel. Miss N’s culture and religion may have restricted the expression of her emotional development. In her Moslem culture, the open display of physical affection between men and women is socially unacceptable. It could be hypothesized that by taking up the veil. Miss N tried either to deny her emotions or to control her desires in order to meet these societal mores. When her reliance on the veil was unsuccessful, binging and purging became the battleground for her struggle. As long as Miss N focused on binging and vomiting, she did not have to address the conflict between her feelings as a woman and the rules of society. She also did not have to confront the difficulties an intelligent and high-achieving woman faces in a non-Western culture where the societal and religious rules may slow or even limit women’s self-development. This case study not only highlights similarities between the precipitants of bulimia in Bulimia in Egypt 411 Western and non-Western women, but also suggests that sociocultural and crosscultural factors may play a role in the onset of the disorder. While it is impossible to generalize from single case reports, it is possible to obtain from them areas for future research. For example, it will be useful to look at larger samples of Arab women living in the Middle East and explore the relationship between traditional values, religious beliefs, and abnormal eating patterns. American Psychiatric Association. (1987). Diagnostic and statistical manual of mental disorders (3rd ed., revised). Washington, D.C: American Psychiatric Association. Buchan, T., & Gregory, L. (1984). Anorexia nervosa in a Zimbabwean. British Journal of Psychiatry, 145, 326-330. Bulik, C. (1987). Eating disorders in immigrants: Two case reports. International Journal of Eating Disorders, 1, 133-141. Buhrich, N. (1981). Frequency of presentation of anorexia nervosa in Malaysia. Australian and New Zealand Journal of Psychiatry, 15, 153-155. Ford, K., Dolan, B., & Evans, C. (1990). Cultural factors in eating disorders: A study of body shape preference of Arab students. Journal of Psychosomatic Research, 5, 501-507. Fumham, A., & Alibhai, N. (1983). Cross cultural differences in the perception of female body shapes. Psychological Medicine, 13, 829-937. Halmi, K., Falk, J., & Schwartz, D. (1981). Binge eating and vomiting: A survey of a college population. Psychological Medicine, 11, 697-706. Katzman, M., Wolchik, S., & Braver, S. (1984). The prevalence of frequent binge eating and bulimia in a nonclinical sample. International Journal of Eating Disorders, 3, 53-62. Lacey, ]. (1986). An integrated behavioural and psychodynamic approach to the treatment of bulimia. British Review of Bulimia and Anorexia Nervosa, 1, 19-26. Lacey, J., Coker, S., & Birtchnell, S. (1986). Bulimia: Factors associated with its etiology and maintenance. International Journal of Eating Disorders, 5, 475-487. Lacey J., & Dolan, B. (1988). Bulimia in British blacks and Asians: A catchement area study. British Journal of Psychiatry, 152, 73-77. Mumford, D., & Whitehouse, A. (1988). Increased prevalence of bulimia nervosa among Asian schoolgirls. British Medical Journal, 297, 718. Nasser, M. (1986). Comparative study of the prevalence of abnormal eating attitudes among Arab female students of both London and Cairo universities. Psychological Medicine, 16, 621-625. Nwaefuna, A. (1981). Anorexia nervosa in a developing country. British Journal of Psychiatry, 138, 270.